Ok, I love bacon for breakfast (or any other mealtime for that matter) as much as the next fat guy. Maybe more. But I think this is overkill. That being said, parang I wanna try it. 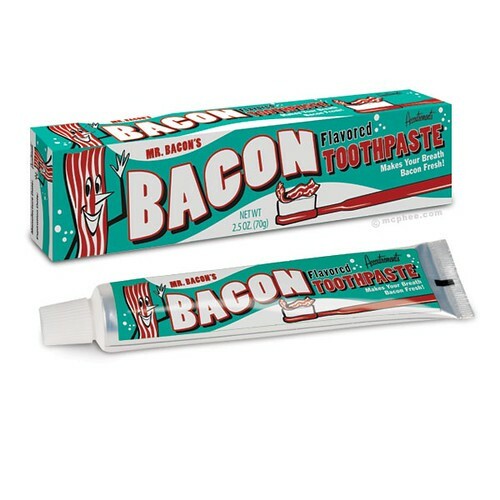 Author ManEatManilaPosted on February 11, 2011 February 11, 2011 Categories Around the InterwebsTags bacon, toothpasteLeave a comment on Mmm…Bacon!